Today, PediaStaff posted their Pinterest Pin of the Week: Play Dough Mats Galore and Even More Mats. Well, Play-Doh (aka playdough and play dough) was not something that I ever wanted to use as a therapy tool when I was working as a school SLP. Occupational therapists cut it, early childhood teachers cooked it and the little ones just ate it. Turn back the hands of time (and don’t take my iPad) and I would be using Play - Doh. The free mats at Planet of the Apels and PreKinders are adorable and could be used in both articulation and language therapy. 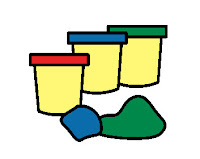 In addition to the mats, PreKinders has numerous creative play ideas for play dough. The mats at Boardmaker Online would be perfect for articulation therapy, phonemic awareness, talking about feelings, thematic units and so much more. 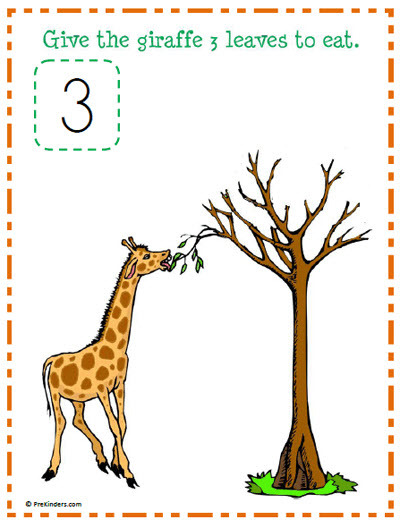 Make Learning Fun has Play-Doh themed printable activities as well as mats for Brown Bear Brown Bear, Mrs. Wishy Washy, The Hat by Jan Brett, and The Old Lady Who Swallowed a Fly. The free PLAY-DOH Play-Dates by Hasbro, Inc will be fun to use in therapy for all ages (younger students will need more help). Work on directions, sequencing, and retelling. Play barrier games, incorporate articulation, syntax, and more into the activities. Take screenshots of the app to make your own sequence cards. The Story Creator allows children to create stories with their creations. NOTE - As of March 2015, I could not find this app in the iTunes Store, but mine (an iPhone App) was found in my "Purchased Apps" and still worked on my iPad. Visit Hasbro's Play-Doh Imaginative Creation for several hundred Play-Doh creations and step by step directions for each. Another great way to work on directions, sequencing and retelling as well as incorporating articulation, syntax and more into the activities. Play dough is not expensive. At Target, the cost is about about $5.00 for a four-pack. However, if you have time to make your own there are many, many recipes on the web. Below are just a few links to play dough recipes. P.S. 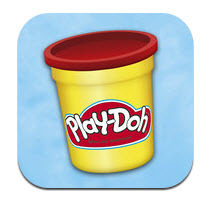 Did you know that Play-doh was first manufactured in Cincinnati as a wallpaper cleaner in the 1930s. It was marketed as a modeling compound for children in the 1950s after school children were observed playing with the wallpaper cleaner. The Picture Communication Symbols ©1981–2011 by Mayer-Johnson LLC. All Rights Reserved Worldwide. Used with permission. Boardmaker® is a trademark of Mayer-Johnson LLC. Mother's Day - Some last minute ideas!